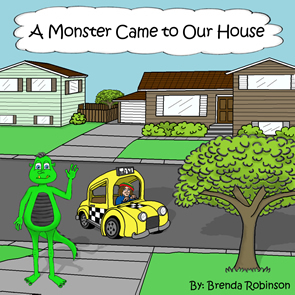 We are very happy to announce the release of "A Monster Came to Our House" By Brenda Robinson. A colourfully illustrated kids book for young children and their parents to enjoy together. The monster books were written to help children address their fears in positive healthy ways. Sometimes, children are afraid of what they don’t know. These fears become monsters. This monster series was designed to have children view monsters in a fun and friendly way. Brenda is a mother of five and a grandmother of six. She has always tried to parent and grandparent with humour, laughter and fun experiences. Stories, poems and songs are among her favourite ways to interact with children. This is just one of the poetry stories that have been shared over the years of family interaction. She hopes your family will enjoy this as much as the Robinson family enjoys it. This book was written for Chris Robinson by his mother Brenda Robinson. When Chris was a little boy there were always monsters under his bed, in the toilet tank, in the pantry and even in the back of the old station wagon. This poem helped Chris see his monsters in a different way – fun, friendly and sharing his lunch. Thank you to Harley, Leigh, Lonnie, Chris and Jill for allowing their monsters to be shared. What is happening to the joy, excitement and love of learning? Why do students trudge off to school and learn only what they have to? Has school become so serious and business like that it is a chore instead of a challenge? This book has been prepared to invite other parents, grandparents, educators, coaches and administrators to think about ways to bring the joy back. Learning should be exciting, interesting, “joy filled” and just plain fun. Let this chronicle of the “school” experience challenge your thinking and your approaches to the learning environment. 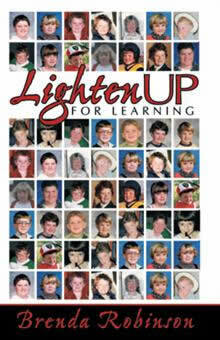 Lighten Up!! 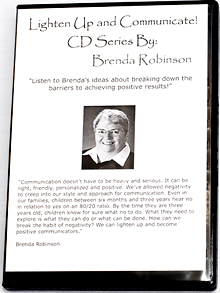 Brenda and Harley combine over fifty years experience in professional writing, training, and consulting. It is their belief that good business writing is a communication skill, not a writing skill. 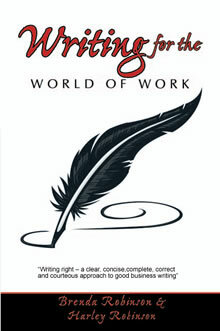 They have collaborated to write this book to give people a guideline to do exactly that – communicate through writing.